Welcome to the RTN Credit Union Worcester branch! We are here to help you with your Credit union account and all your financial needs. 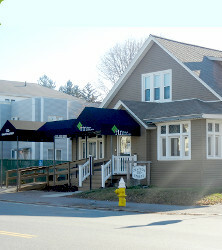 Our branch is located on Grafton Street/Route 122 in Worcester, about 3.5 miles from the Massachusetts Turnpike. Visit us and find out the benefits of RTN membership! * Members with RTN ATM/Debit cards can make totally free ATM transactions anytime at the ATM located at CVS, 500 Grafton Street, Worcester, MA, just a few blocks from the Worcester branch. Gala Military Ball: Veterans Inc.